If you are like most people, you have written these goals and dreams on a list that's titled "Tomorrow's To Do." You can't pursue what's truly important to you because your day is crowded by the demands of mundane routines and other people's priorities. 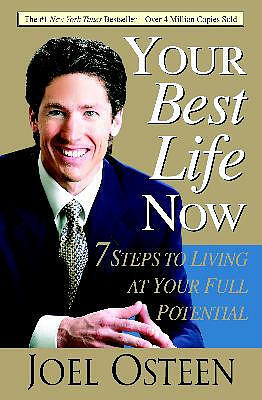 Your Best Life Now by Joel Osteen was published by Warner Books Nova in September 2007 and is our 13995th best seller. The ISBN for Your Best Life Now is 9780446696159. Be the first to review Your Best Life Now!